Sometimes, it’s the smallest people that help us bigger folks grow up. My little nephew, only 10 months old, has spent more time in the hospital than I’ve ever had to my entire life. He was born with a rare vocal cord condition that has resulted in multiple invasive surgeries, long hospital stays and the saddest, pleading eyes that grab your heart and make you want to smuggle him home under your coat. We went to see him in hospital this past weekend after another, and hopefully last, surgery. The tall glass-plated building housed gigantic wooden animals wearing bright scarves and Beatrix Potter-esque murals. The halls were quiet, even though people milled around the sunny waiting areas. 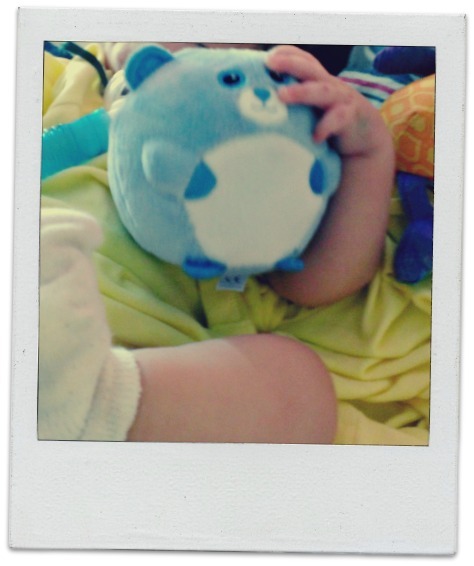 After signing in, we raided the small gift shop and shared our fluffy bounty – a round, blue bear for the little one and an equally round Pooh for his older brother. The couple of times I stayed in hospital when I was little had always resulted in gifts – it was something that made being ill just a bit easier to handle. Seeing his tiny hands clasp his blue bear, even for the brief second before he jilted it for the glitzier purple poodle, made me very glad that I had made the 3 ½ hour drive to see him. His room was rather large for such a little guy, but it was clean, bright and cute – insofar as a hospital room can be. We burst into the small space with all the noise and enthusiasm that our family could muster. When we do noise, we do it well. His big, round eyes brightened when he saw us and a huge grin followed as we crowded around his metal crib. We cooed and waggled his arms as he kept his foot propped up in his baby way to hold the humidifier tube in place. Lately, I’ve been feeling a bit dissatisfied and wallowing in my self-imposed stagnation. My job was making me feel unfulfilled and frustrated, days were filled with chores and to-dos, and I seemed to have a complaint list a mile long. Just a few wrongs would make me feel like my life was spinning out of control. And that, folks, brought a stain to my cheeks that even my hardest run could not rival. While I wasn’t saying most of my frustrations out loud, they were seeping into my dreams and into my approach to everyday tasks. I let my emotions feed on themselves and it wasn’t the green, leafy variety of food, either. The only way my nephew could eat was through this tiny, clear IV tube. Here I was, totally vocal, healthy, happily married, munching on decadent desserts (like the one below), but moaning about my “bad” life. 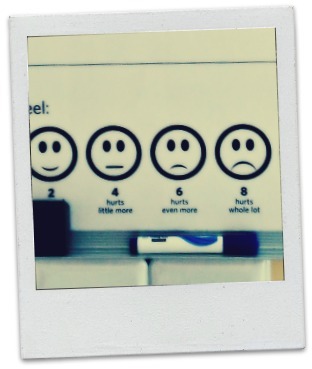 My little guy couldn’t even moan if he wanted to, and by the look in his eyes (we ranked him a 4 out of 10 on his “how am I feeling” chart), he really needed a good moan. I could, at any moment, “feed” my life with those nutrients that I thought were missing – the art classes I was going to take at the new year? I’m going to look into our options this week. The frustrations at work? I need to address them with my manager. There were actual steps I could take to alleviate this sense of whirlpool, but I was letting myself drown. For my brave little nephew, his path seems clear – to get out of that hospital room, to get home and, for the first time in his life, to howl up a storm. 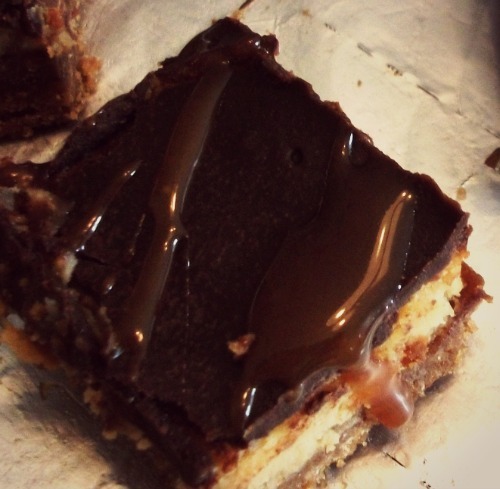 And here’s a recipe for Rolo Cheesecake Bars from Bakers Royale that will make everyone sing your praises. I made them for work this week and they are filled with mini-rolos, cream cheese, caramel and chocolate – what’s not to love? The entire batch was gone before some even knew I had brought any dessert. Oh, yes, and they’re a cinch to make. It’s a wonderful addition to my rolo repertoire, and a new one for many of my co-workers after I fulfill all of the recipe requests that came pouring in. Line a 9×13 pan with foil so that it overhangs the sides and heat oven to 350. Mix crumbs, melted butter and sugar until well mixed and press into the bottom of the pan. Bake at 350 for 7 min. Remove and let cool. Bake at 350 for 35 -40 minutes. Begin checking for doneness using a toothpick at the 30 min mark, depending on your oven. Mine took a bit longer than 35 minutes before my toothpick came out clean. Remove, allow to cool, and make your chocolate topping. Place chocolate, butter and corn syrup into a pan and heat on low until melted stir frequently (you can also do this in the microwave, but be sure to use small time intervals so as to not scorch the chocolate). Spread evenly over bars and allow to cool completely. You can fridge the bars now or cut them. Cut bars using a clean, warm knife (clean the blade between each cut). Heat caramel sauce in microwave until warm (about 20 sec depending on your microwave). Using a spoon, drizzle sauce over cut bars. Place back into fridge until ready to serve. They’re good cold, but we preferred them when they were allowed to sit at room temperature for a few minutes. 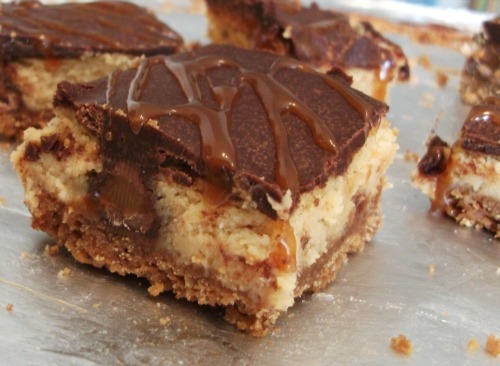 The chocolate softens and the caramel becomes less solid. Categories: Musings, Recipes | Tags: baking, chocolate, dessert, happiness, job, Musings, Recipe, stress, thankful | Permalink. Tea or coffee? 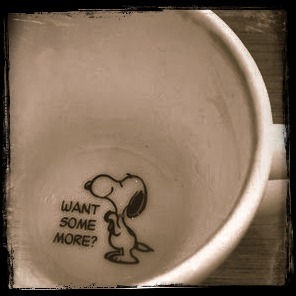 I think I’ll have coffee today. Growing up, I was a staunch tea drinker. 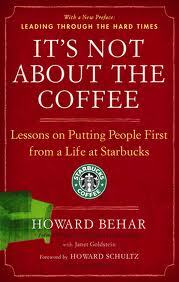 I would insist on hating coffee, but, oddly, would down a cappuccino or espresso with nary a shudder. As if they were so much more different than just “coffee”. The strong, intense flavor made me feel, well, sophisticated. Older. Mature. Slowly, as Winters and Falls tumbled over each other in succession, I have found comfort in a warm cup – either bean or leaf. I’m not quite sure if this makes me truly mature or sophisticated, but I definitely feel older. And then sometimes, not. Like, yesterday, when I was next to speak in a roundtable discussion, and I could feel my heartbeat rise, my skin flush and my breathing change. I chided myself for responding like a flustered first year at school, but at that moment, I could grasp all of the times I’d felt truly nervous to speak up and those where I had spoken with confidence, conviction and strength. Isn’t it odd how they can swap positions? When I was a freshman in college, I distinctly remember sitting in a circle on the cold tiles of the hallway, and waiting nervously for the circle to close on me. We were “getting to know each other” before term started and everyone was sharing their future goals. “I’m taking engineering” or “I want to be a nurse” were heard more than once since my school focused heavily in those areas. I was there on scholarship and, at the time, firm in my conviction of getting a Geology degree and straight on to Paleontology. Do not stop at Go. I would rethink my life that year and change courses to English Literature. Something I like to think of as gathering one love closer while still holding onto the other by hand. However, when my time came to say my given degree and hopeful future, I began “When I grow up…” and immediately cringed. I felt childish, embarrassed and so little compared to those sitting around me. It still bothers me, in a way, because I still don’t quite feel like I’ve “grown up”. Sure, I’m older, I have some grey hair and I’ve even changed career paths. We own a pet bird, have a car, and saving up for a mortgage. In the eyes of the world, I’ve basically “grown up” enough that I can even rent a car on my own. I suppose you could argue that my response was innocent enough and just an automatic one given the nature of the question being asked. In my head, though, I don’t feel like I’ve “grown” in any way. I do more, I pay more and I love more, but who I am is still muddied. I fret about whether my life is going the way it should, or whether I’m wasting precious time. I worry about my actual response to those questions and just keep on with the routine, hoping to make each day go by smoothly, nicely. Blindly. But now, I wonder if I’ve got that a bit wrong. A bit skewed. Drinking cappuccinos like water didn’t suddenly make me “old” or “sophisticated”. Even now, I love my coffee, but I love flavored coffees like the Pumpkin Spice coffee from Trader Joe’s. My sense of self hasn’t miraculously changed, like a light switching on, but it has continuously evolved. 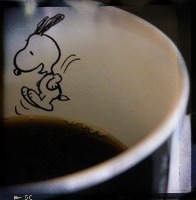 Here I am, sipping coffee, but tomorrow, I might have tea again. What the hey! I might have tea and coffee. Dissolving that fabricated image of a predestined “me” won’t happen with one swirl of the spoon. I need to constantly remind myself that who I am is what I am. Now. Not the me of some distant, imaginary future or the me of the past. Categories: Life, Musings | Tags: happiness, job, Musings, self image, stress | Permalink.